In what is fast becoming an annual tradition, Geldof is pleased to welcome a secondary school student as our “employee for a day”. 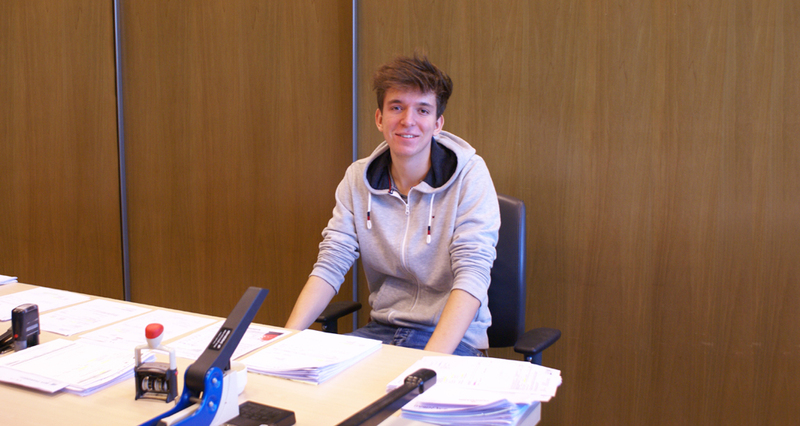 This year’s student is named Simon, and he joins us today as part of YOUCA Action Day. YOUCA Action Day is a campaign by YOUCA (formerly Zuiddag) organized once a year which allows over 15.000 Flemish and Brussels teenagers to join the workforce for a day. The money they raise by doing so is donated to charitable projects for young people in need worldwide. We at Geldof are happy to participate in this initiative, which not only encourages young people to develop their skillset, but also promotes solidarity with the less fortunate. For more information about YOUCA or YOUCA Action Day, please visit www.youca.be.